A spiritual successor to the award-winning “Mythic Fort Defense” and the highly-acclaimed “Siege Knight”. 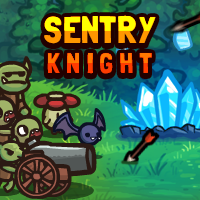 Action-based tower defense including a plethora of spells, talents, upgrades, enemies and bosses! A zombie game with a twist. This time you’re controlling the horde of zombies to defend your graveyard against the human intruders. Teach the humans to go party somewhere else! Davouk City is conquered by the three siblings. Defeat them and save your hometown! Three stages and a survival mode. What was that? You awaken to find your once quiet house is full of noisy party guests! Can’t a ghost haunt in peace? Kill monsters, collect gold, upgrade heroes, use skills, find treasure, kill bosses, and explore new worlds in this epic adventure! Your village is under attack! But there is still hope. You have to fight with demonic monsters and kill insane bosses before face with god of darkness. I hope you ate all your carrots this morning. Play as a bunny and slay demons deeper and deeper into the depths of hell. Collect loot, upgrade weapons, slay demons, and rescue all the sisters in this action RPG shooter. A Shinobi has been framed for the death of his master. After imprisonment for seven years, he is given one last chance to fight for his freedom. Will Sinjid survive the trail and find his master’s true killer? Or will he perish?